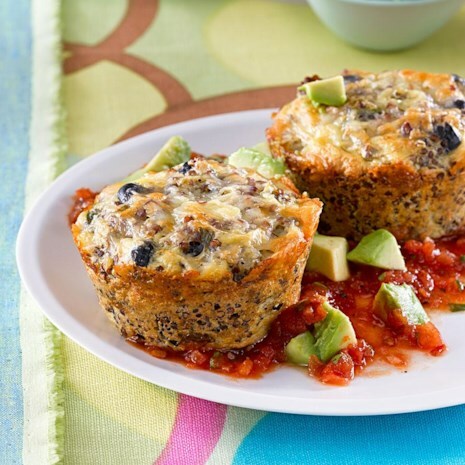 This healthy quinoa cake recipe is packed with protein from the black beans, eggs, cottage cheese and quinoa. 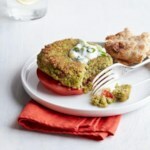 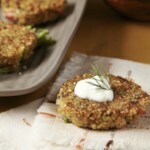 We like to serve the quinoa cakes with a mouthwatering and incredibly easy blender salsa; if you don't like the heat, leave out the chipotle pepper. 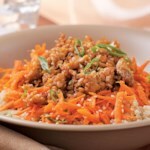 We like the look of red quinoa, but any color quinoa will work just as well. 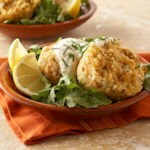 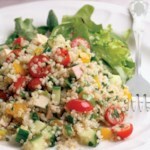 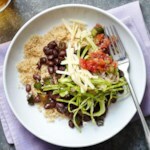 Download a Free Low-Calorie Dinner Recipe Cookbook!